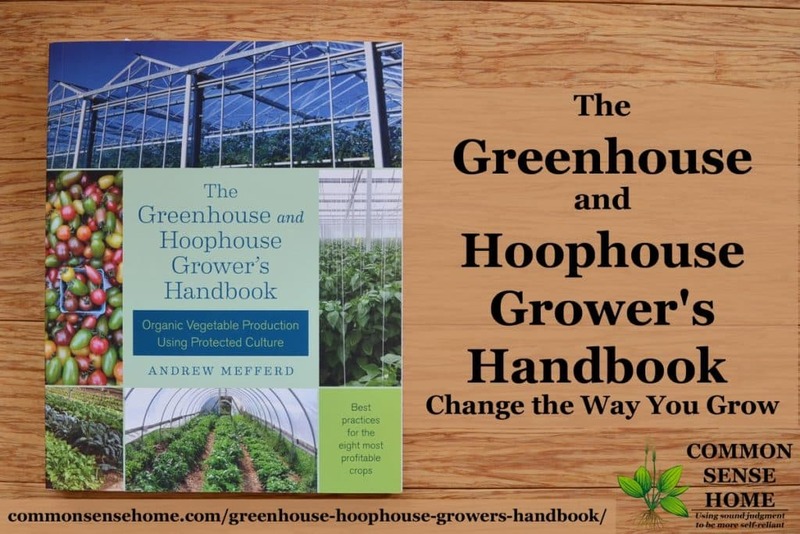 The Greenhouse and Hoophouse Grower's Handbook: Organic Vegetable Production Using Protected Culture by Andrew Mefferd is a call to action for organic growers to extend the production season of their local produce. The best way for market gardeners to retain customers is to have produce for them to buy – preferably year round. Andrew looks at the eight most profitable crops for protected culture and gives you the knowledge you need to grow them well. I've seen too many farmers and friends hurt by inadequate income. This is the type of book we need to let us do what we love (grow things) and still support our families. Protected culture refers to any type of protected growing. This includes everything from basic unheated hoophouses to heavy duty greenhouses with temperature and moisture controls. (Simple cold frames, individual plant protectors and floating row covers are outside the scope of this text.) It's a bigger investment up front, but the returns can be worth it. Take the author's example of the Netherlands. Here's a county that's about 2/3rds the size of West Virginia, and yet they ranked second in the world for agricultural exports in 2015. How? Through protected culture. There's no reason that local growers in many parts of the world can't adapt similar techniques. You can still plan some downtime for deep winter if needed (especially if you don't plan to provide supplemental heat), but every grower knows that the first good quality produce that hits the market demands the top prices. Andrew feels that the timing and the technology are right to make protected culture a winning options for small growers. I tend to agree. People are finally starting to ask questions about how and where their food is grown. Nationwide produce recalls have people looking for safer alternatives. The discriminating consumer doesn't just want food served with style, they want flavor. I found the author's tone to be very readable, like talking to a friend with a clue. We currently have a two small greenhouses, so some of the content was well beyond the scope of our needs. That said, my head is still spinning with ideas for many ways to use the space we do have better. For instance, I had no idea that you could graft tomatoes and other nightshades, and cucumbers. Fruit trees, sure, but tomatoes? After late blight cutting the season short in 2010, grafting favorite heirlooms onto resistant rootstock is very appealing. We've been working more with mycorrhizal fungi and other protective measures, but it never hurts to have multiple layers of protection. He also noted that you can repair a snapped tomato stalk with a duct tape splint. I wish I'd known that years ago when a bad wind storm took out several tomato plants. All the detailed tips for maximizing production (and income) in limited space are also appreciated. 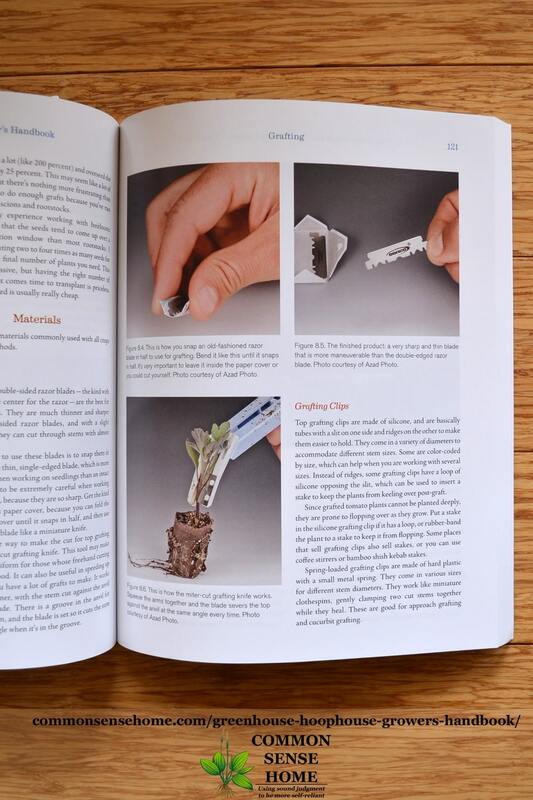 There's even a section on microgreens, which can be grown in extremely small spaces. They can also be a “quick to harvest” filler crop while other crops are waiting to mature. Disease and pest resistant varieties are recommended, but methods to prevent problems and organic troubleshooting tips are given. There are so many growing tips and tricks that I know I'll be turning to this book again and again. 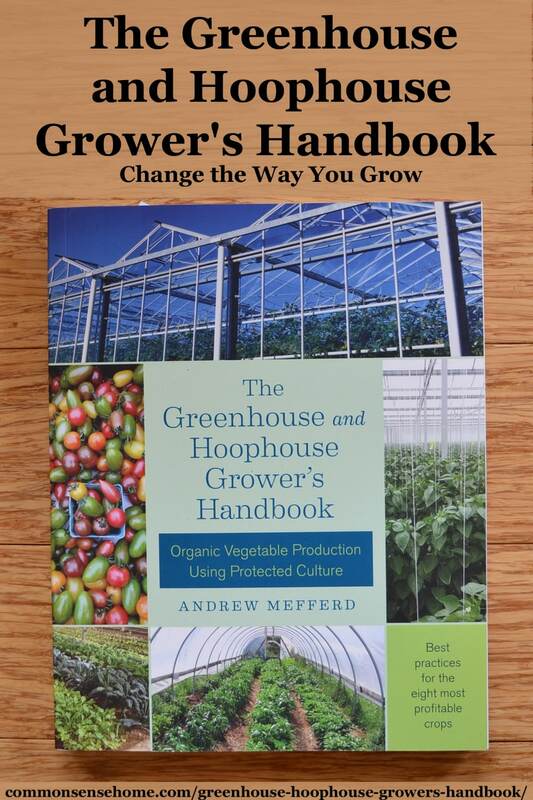 If you're considering protected growing, whether it's in a hoophouse or greenhouse, this book is a highly recommended investment. I know many who review or display a product receive a bonus if people order that item through Amazon. Any way to do this with yours? I am thinking about ordering….. Thank you for thinking of me. Just click on any of the book title links in the article.